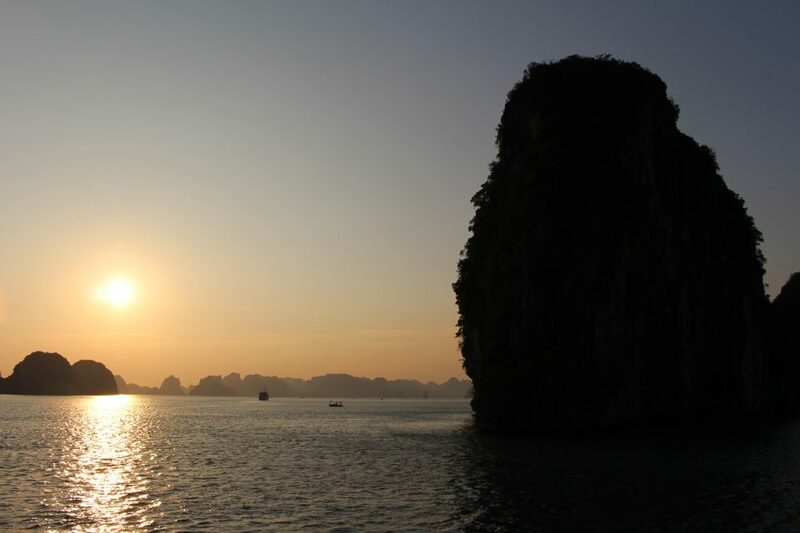 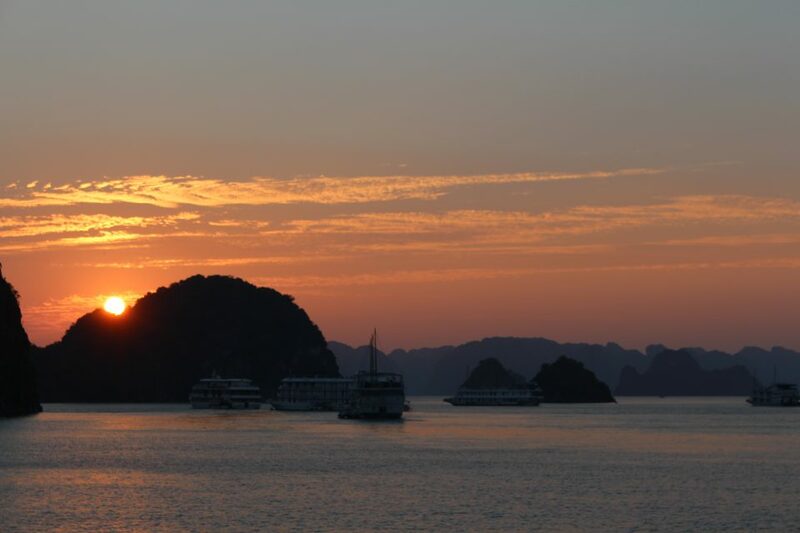 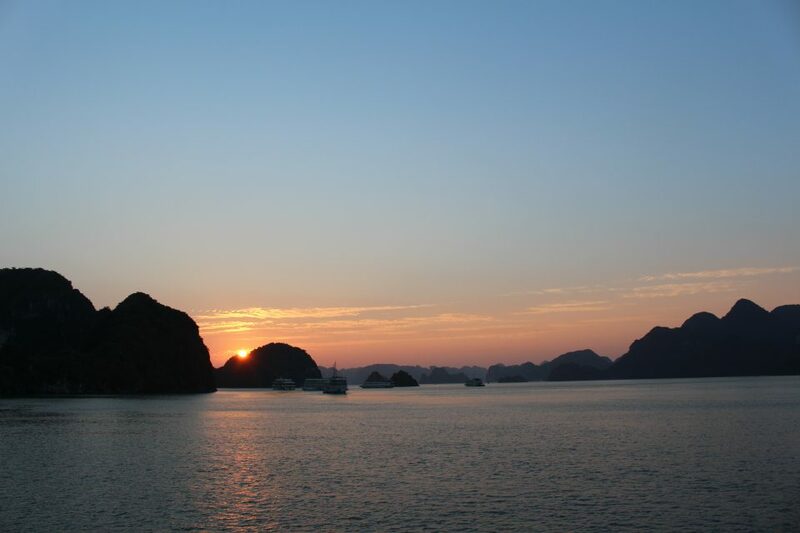 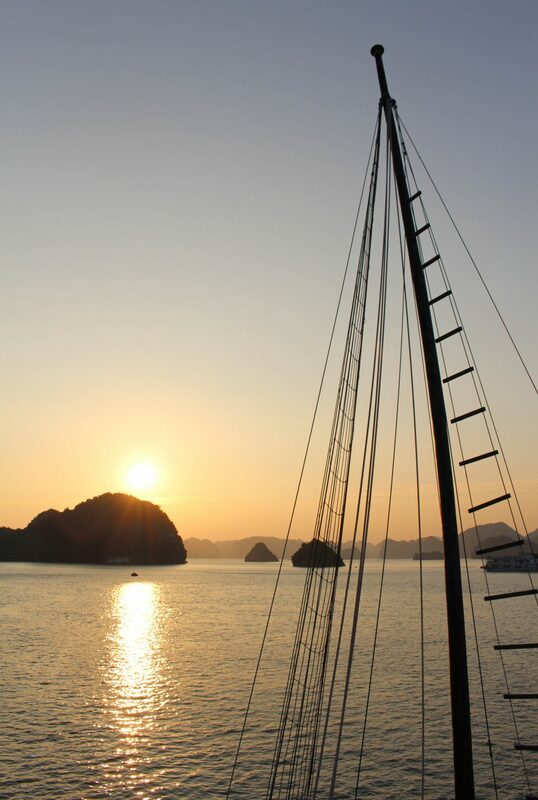 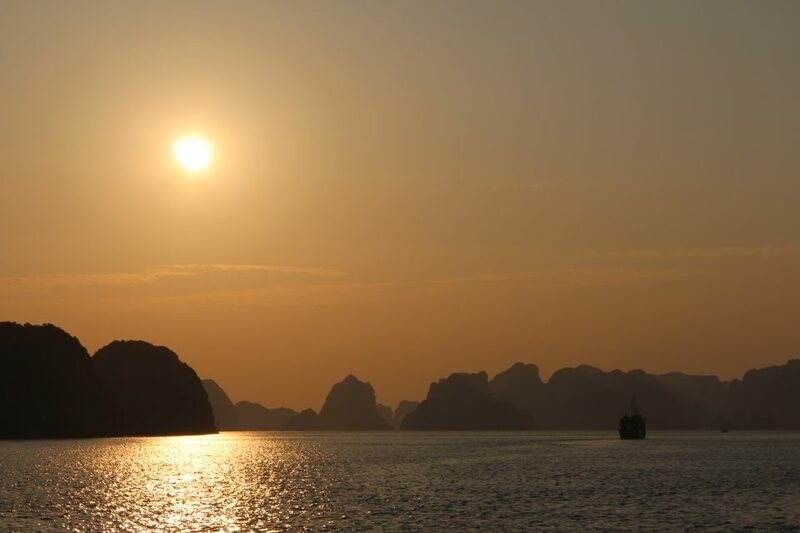 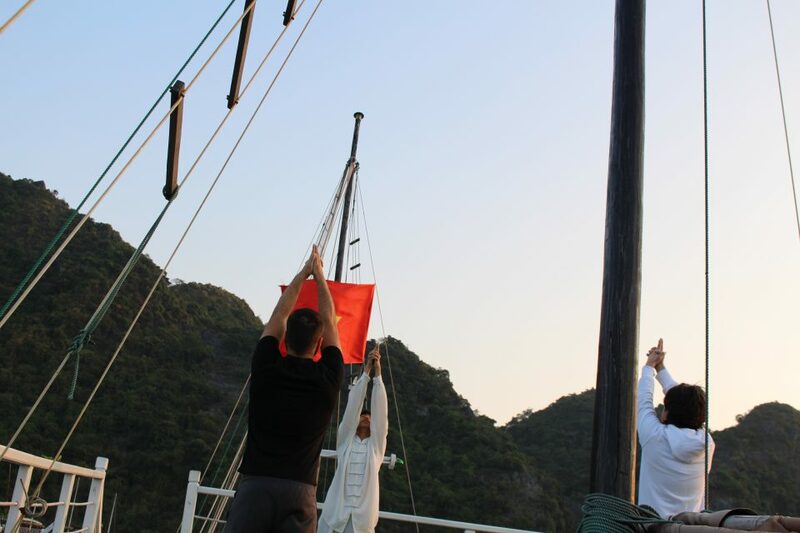 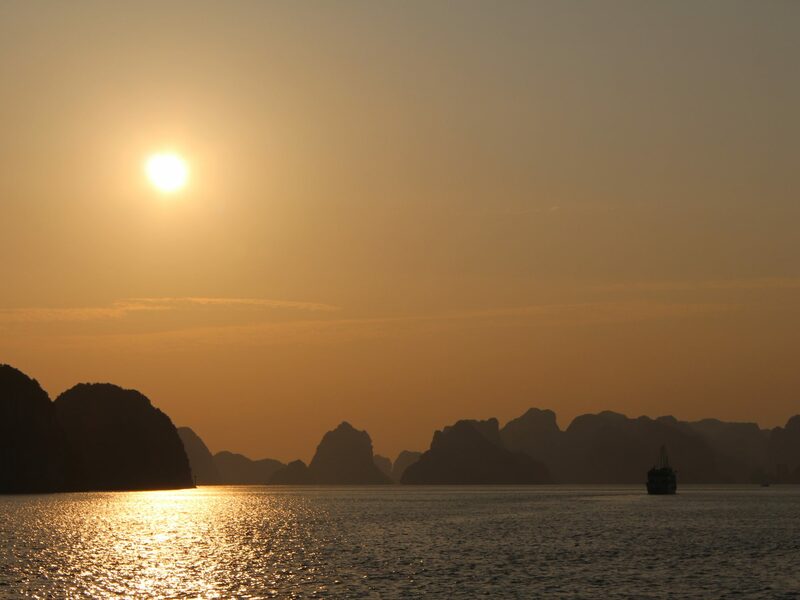 It was a beautiful and re-energizing sunrise over Halong Bay after a very relaxing night’s sleep. 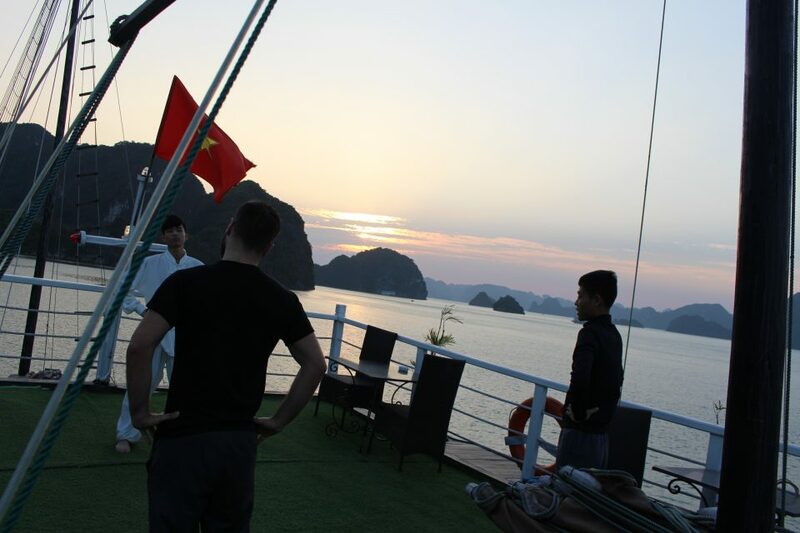 Even more energizing: morning tai chi! 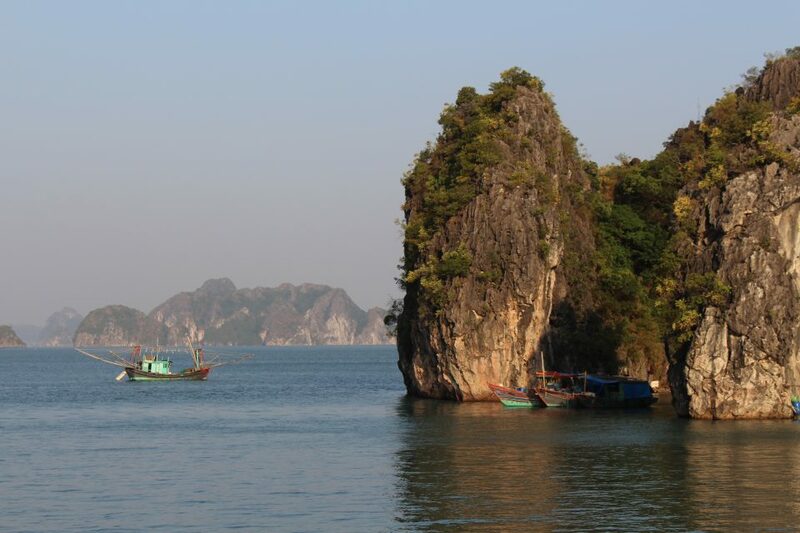 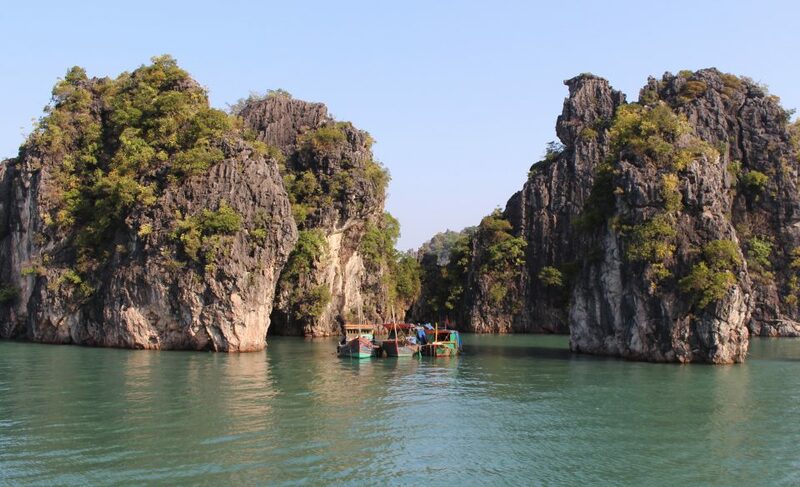 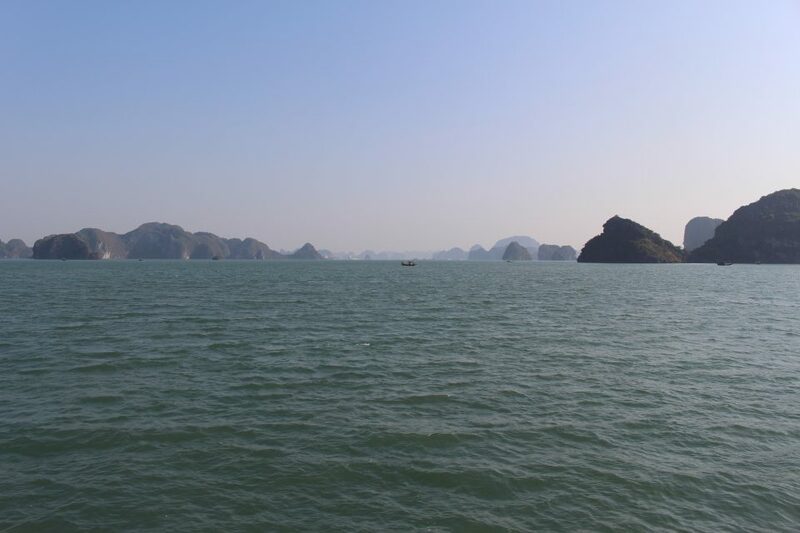 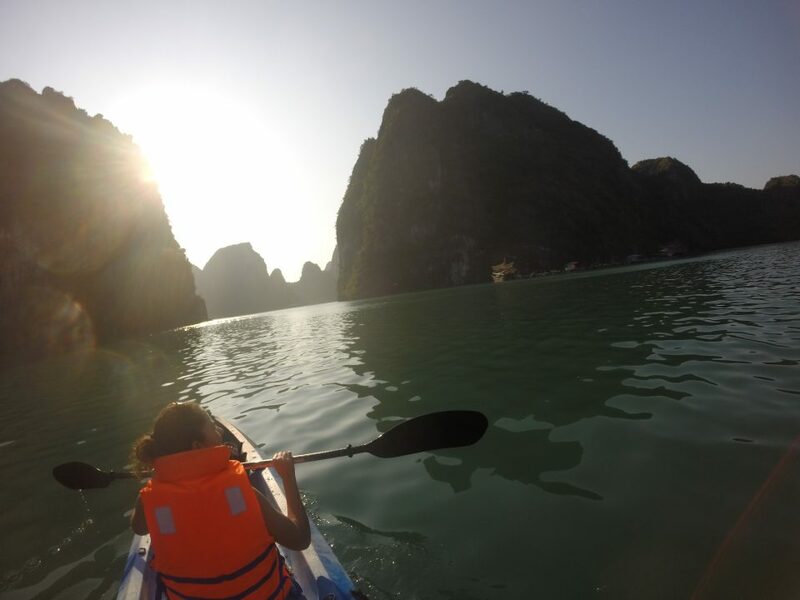 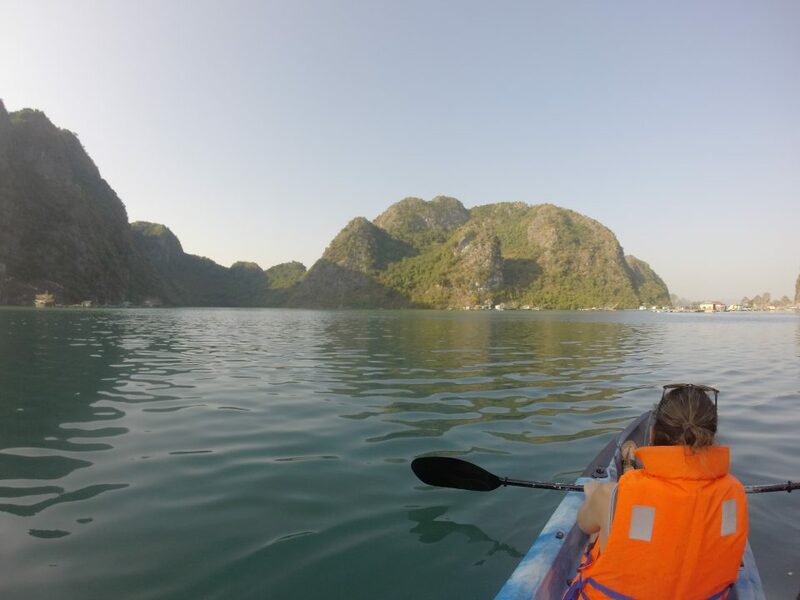 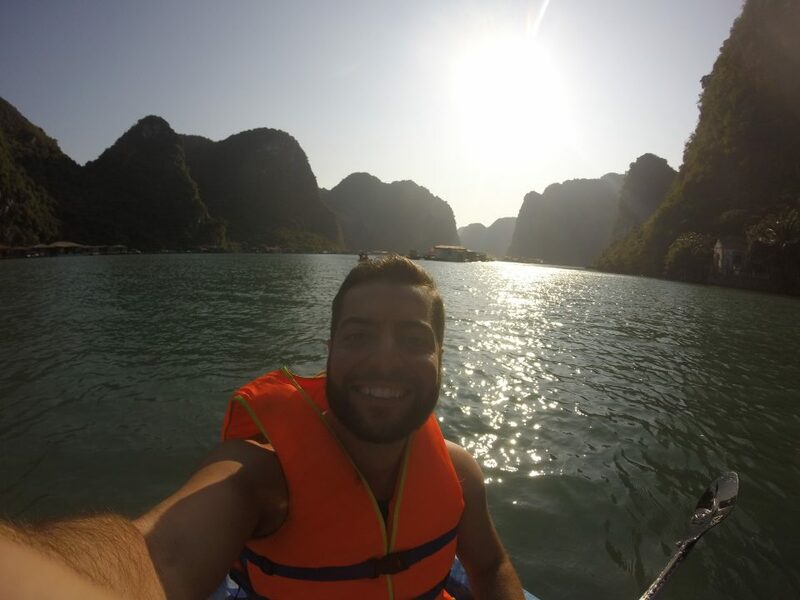 Before leaving Halong Bay, we did some kayaking near the islets and floating villages of fishermen.